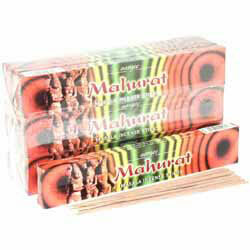 20 Sticks - Sandalwood and aromatic roots and herbs. "Dear Spices of India, Thanks very much for the speedy delivery. We got the parcel on Wednesday morning & there was a postal strike on Monday & Tuesday! The onion bhaji mix is magic!"